Thermo Shakers There are 7 products. 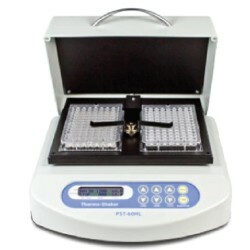 Thermo–Shaker TS-100 provides intensive mixing and temperature control of samples in microtest tubes or PCR plate. 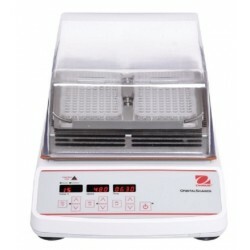 Functions of heating and mixing can be performed both simultaneously and independently, i.e. 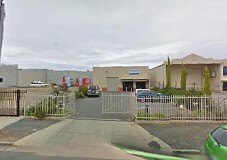 the unit implements three devices in one: 1. Shaker.2. Dry–block Thermostat.3. 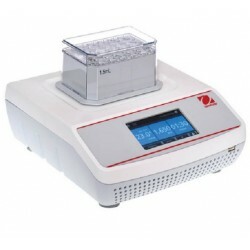 Thermo–Shaker. 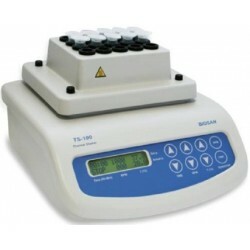 Thermo–Shaker TS-100C provides intensive mixing and temperature control of samples in microtest tubes or PCR plate. 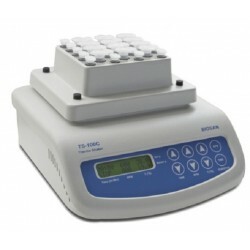 This model of Thermo–Shaker differs from TS-100 with a possibility of cooling samples down to +4°C. 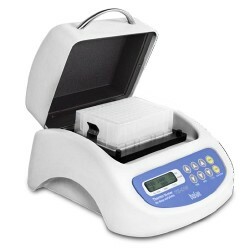 • LED displays for temperature, speed and time• Timer with audible alarm• Available with opaque lid for light sensitive samples The OHAUS Incubating Microplate Shakers are optimized for shaking microplates, deep-well plates, or micro-tubes.